You are here: Home / Market Reports / More Good News…. Housing Starts rose slightly in February, coming in above expectations and up 28 percent since this time last year. Both Single-Family Housing Starts and Building Permits (a sign of future construction) also increased, reaching their highest levels since June 2008. 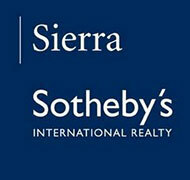 In addition, Existing Home Sales rose by 0.8 percent in February from January to an annual rate of 4.98 million units. They are up 10.2 percent from the February 2012 rate of 4.52 million units. But the good news didn’t stop there. Weekly Initial Jobless Claims and the 4-week moving average of jobless claims (which evens out seasonal abnormalities) are hovering near five-year lows. While the labor sector has been improving, it’s important to note that with the Unemployment Rate at 7.5 percent and the Labor Force Participation Rate dropping, further improvement is still needed in this sector. There was expected news from the Fed last week, as they announced they will continue their Bond purchase program (known as Quantitative Easing). And there was dramatic news out of Europe, as Cyprus is the latest country in need of a bailout. Protests and a run on banks occurred there. What does all of this mean for home loan rates? Good housing and other economic news will likely cause investors to continue to move money out of Bonds and into riskier assets like Stocks, to try to take advantage of gains. But with the Fed still purchasing $85 billion in Bonds every month and the continued drama in Europe, the safe haven trade into our Bond market should also continue. Overall, this should help keep Mortgage Bonds–and therefore home loan rates, which are tied to Mortgage Bonds–near record best levels. The bottom line is that now is a great time to consider a home purchase or refinance, as home loan rates remain near historic lows.